CertainTeed Presidential TL. Shown in Platnium. 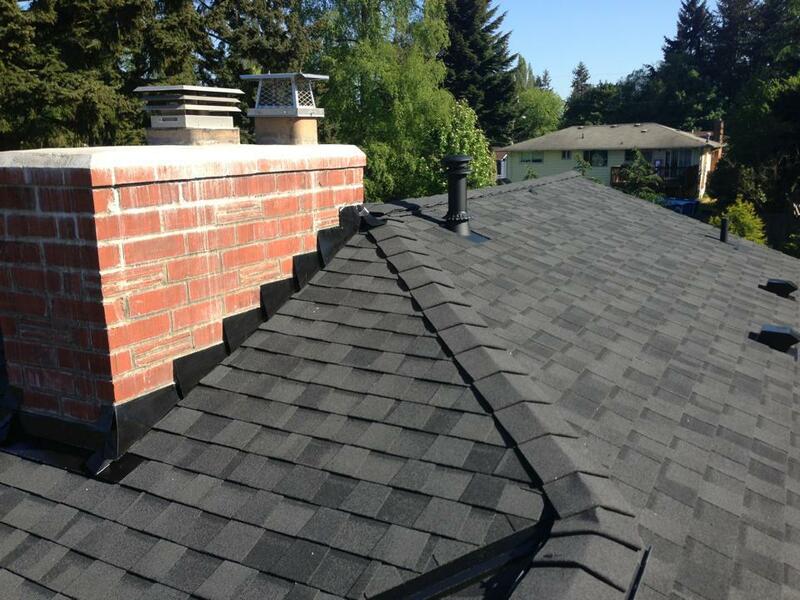 Pinnacle Roofing Professionals provides composition roofing as one of several roofing options. Composition shingles are sometimes referred to as Asphalt shingles, Laminate and Architectural shingles. Composition roofing shingles, which are available in several brands and colors, are an excellent roofing option because of the durability, price, safety and the different color options. Composition shingles are typically made of a fiberglass matting with an asphalt exterior. This exterior is embedded with granules that act as a UV protectant. They are versatile and can adapt to several different types of applications. Pinnacle Roofing Professionals only uses CertainTeed shingles as we feel they are superior over other brands on the market. 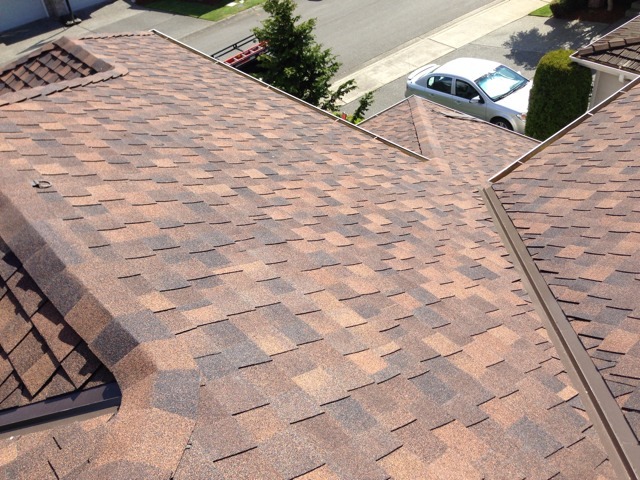 CertainTeed Landmark PRO shingles with High-Profile Mountain Ridge. Shown in Moire Black. Composition roofing shingles are durable, and can last from 30 to 50 years, making it a great economical choice, unlike traditional shingles that may last 15-20 years. Some manufacturers provide additional features to the product like making the shingles resistant to moss, sun damage and algae growth. Composition shingles traditionally come with a warranty and in many cases a lifetime warranty. 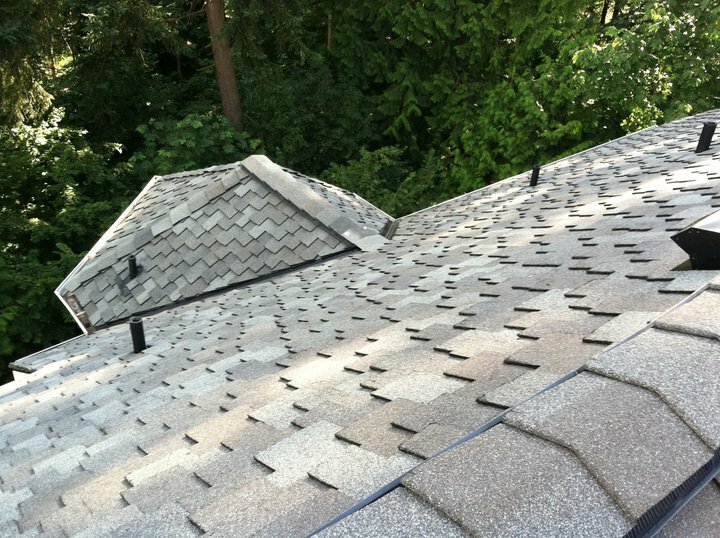 Composition roofing shingles are manufactured with a variety of materials including tar paper, asphalt, waste paper, fiber cement and in some cases reclaimed materials, making them an environmentally sound and sustainable choice. The shingles are also available in several colors and styles. The shingles also come in laminated styles, styles that are substantially thicker material and meant to replicate the look of wood shakes. Composition roofing shingles don’t peel, warp or blister and have limited fading over time. Some styles replicate the look of a traditional shake roof, but with the durability and strength of a composition product. There are several reasons to consider composition roofing for your next roofing project. Because it is durable, comes in several color options, looks like traditional shingle roofing, lasts a long time and is environmentally sound, composition roofing can be a great choice. To learn more about composition roofing and options with the product call Pinnacle Roofing Professionals today at 206.919.3538.